Pro Sneak 365 Vibratory Plow. Powered by a Yanmar Tier 4 final engine, the Pro Sneak ensures dependable power and productivity whether trenching or plowing. The Pro Sneak delivers consistent plowing of up to 24 inches deep, regardless of the terrain. It features 10-degree frame oscillation to ensure constant wheel-to-ground contact when plowing. 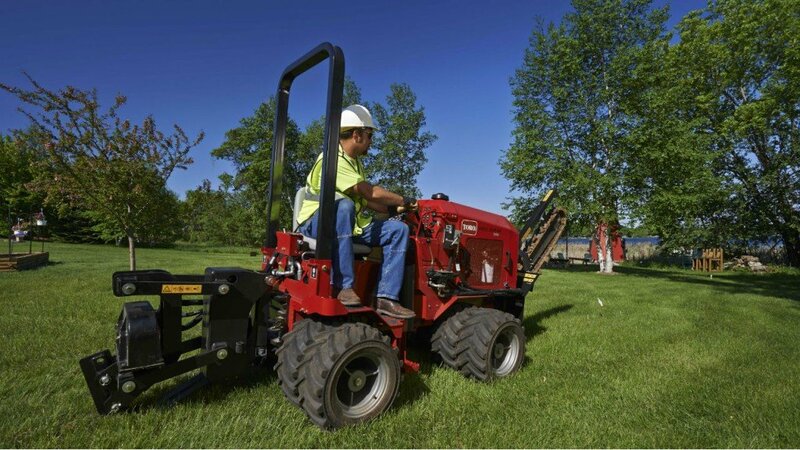 An optional front-mounted trencher that delivers a dig depth of up to 36 inches, is also available.